This guide answers common questions about publishing and distributing apps with Siberian. What are the requirements before trying to publish an application with Siberian? This service does not support Double Authentification. 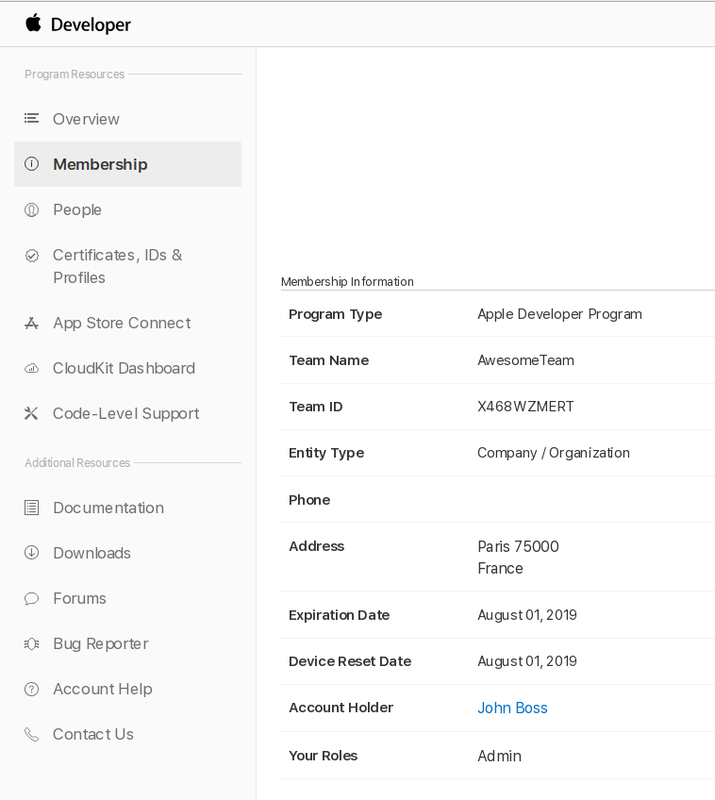 You have to create your apple developer account from a desktop and not from an Iphone or an Ipad. To distribute an application on the Google Play Store, you need to subscribe a Google Play Developer account. There is a $25 USD one-time registration fee. Once I have installed Siberian what is the publishing process for an IOS application? 1. First you need to generate in Siberian the sources code of your application. Connect to your backoffice, select the concerned application in Manage > Applications by clicking the button on the right of the list. In the section called “Mobile Source Codes & Builds” click on “Generate sources“. Your request enters the queue and is going to be generated, then a link appears to download the generated sources code. Once I have installed Siberian what is the publishing process for an Android application? 1. 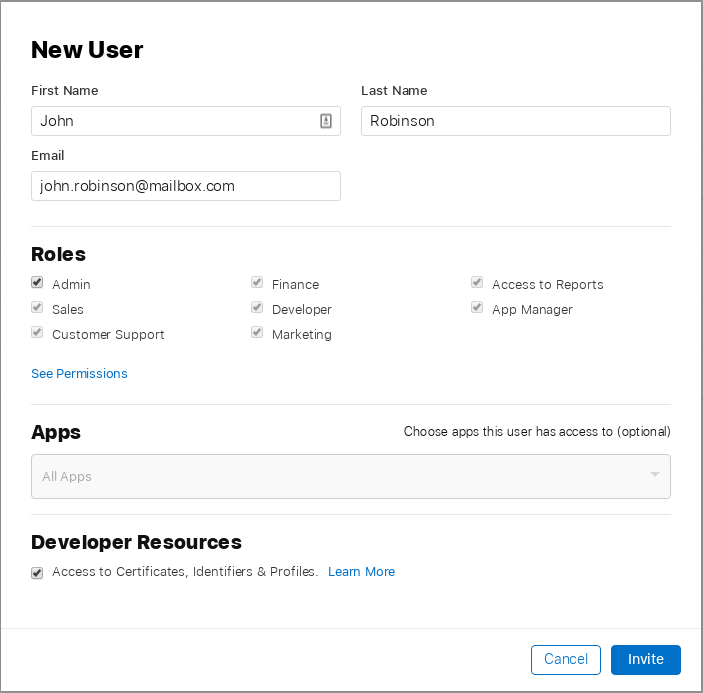 Connect to your backoffice, then select the concerned application in Manage > Applications by clicking the button on the right of the list. Owners of the Single App Edition: click on the button “Generate sources” and few minutes after your sources code is available for download. Then, you need to build your APK by using a Google software called “Android Studio”. To build your APK with Android Studio follow instructions of this article: https://doc.siberiancms.com/knowledge-base/how-to-publish-manually-android-apps/. After building your APK go directly to the step 3. Owners of the Multi-Apps and Platform Editions: click on the button “Generate Build” on the line Android APK and few minutes after your APK is available for download. For owners of the Multi-Apps and Platform Editions hosted by us: click on “Request APK generation” in Service APK generator section. Note that builds purchased are only consume if success. 3. We send you the APK file after submission on the Google Play Store, and we complete for you the app page on your Google Play account. I want to update an application that already exists on the Store. Do I need to publish again my application? Note that there are two different things when we talk about “updating an app”: you can update the content of an app (adding a news, a discount code, an existing feature, the colors, etc), and you can update your application on the stores because you need to republish it. In the first case, most of the time, you don’t need to update your app on the store and thus you don’t need to recompile it. Just change the content, or add the new feature, change the colors, and restart your app on your phone to see the changes. But, if you change some other things that are native to the application like its startup images, its icon or its name, you will have to compile a new version of your app and republish it. In that case you will have to increase the version number before recompiling your app. I want to update an application that already exists on the Store. What I need to do on the store concerned? When you wish to update your application on a store there are some actions that you need to do on the store concerned before publishing your application. How to set the version number before recompiling? An app must be published with a version number. And if you want to publish an update of your app, you will have to change the version number for a higher one before compiling your application. 1. Connect to your Backoffice. 2. Then go in Manage > Applications. 3. Select the concerned application by clicking on the edit icon on the right of the list. In the part “Device Information” you can enter the version number for IOS and for Android. If your app is already published you have to add a new version number and send a new version number. Because you can send many builds for a same version. If you want to publish an update of your app, you will have to change the version number for a higher one before compiling your application. Note that in the auto-publish system the build number is not managed so you have to send a new version rather than several builds for the same version. My app is already published on store so can I rebuild it from scratch and publish it with the same name as a new version? You can update an existing app. The only issue can be for the Android version. When you publish an Android app you create/use a certificate named keystore certificate which has also an associated password. If you have published this app by yourself you should have both the certificate file and its password (if you have used the APK Generator of your Siberian and you don’t have reinstalled your Siberian after having generated the APK of this app you still have them both). If you don’t have these two items, certificate file and certificate password) you will not be able to update the Android version of your app but only to publish it as a new app. For iOS there is no problem, you don’t need previous items to publish an update of an existing app. How many times are we going to be able to download the sources? You can publish and download the sources as many times as you need. You have absolutely no limit, it’s an open-source solution. Is there a way to preview my app that I’m creating before publishing it? What is the price of the 'IOS Auto-publish' service and which methods of payment are accepted? To purchase this service you can use your credit card or a Paypal account. What is the price of the 'Android app publication' service and which methods of payment are accepted? For “Android app publication” there is an only one price, so you have to purchase this service each time you need to do a new submission. If I purchase the 'IOS Auto-publish' service where can I see how many remaining builds I have in Siberian? 1. Connect to your Backoffice then go in Manage > Applications. 2. Select an application by clicking the button on the right of the list. 3. 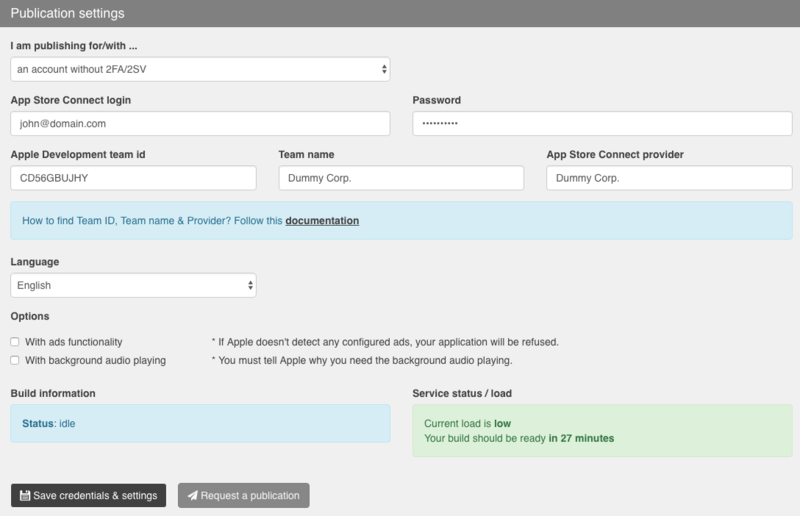 In the application page you can find the remaining builds in the section called “Generate and publish iOS Application”. How to resolve a source or APK generation hanging on 'generating'? – In your Backoffice go on your dashboard. – Click on the button “remove locks”. – Go back in the application page from Manage > Applications. – Cancel the source generation. – Click on “generate sources” again. How to resolve an IOS Auto-publish that failed? This section deals with known issues that you can get when you try to compile manually your application with Android Studio or Xcode. Why I can't compile my application in Xcode? Verify you have installed the last IOS SDK. This is mandatory in to use Xcode correctly. After installing the IOS SDK you might compile your application in Xcode. How to resolve the compiling error message 'linker command failed with exit code 1 (use -v to see invocation)' in Xcode? How to resolve the compiling error message 'error with: BarcodeScanner.java, BardcodeFormat' in Android Studio? Then download the source again after that. How to resolve the compiling error message 'sync Gradle project failed. Please fix your problem and try again' in Android Studio? 5. Gradle build success ! 6. Rebuild project…. success !